"No, I won't allow my children to join this technology fad, especially at an early age." "No cell phones will be given to my children until high school." "There is no way that I will allow my kids to be exposed to harshness of the internet that could ruin their self-image or values." Well... here I am with a soon to be 6th grader and I have come to realize that as much as I want to protect him from the dangers that lurk in the unknown of the cyber world...the cyber bullies, predators, the over sexualized culture, the obscure body standards and the rest of the never-ending list of reason I am scared of allowing my children to have access to the cyber world... But it is how the world teaches, builds and communicates. I have allowed television and computers. I have dabbled with tablets but I have NEVER taken the leap into cell phones. I am just a scared mom that has realized that I cannot hide my children from this technology and so I have decided to embrace it. Maybe not the traditional way but I am doing it. Here are 4 things I have done to prepare myself and my children as we leap into the unknown territory of cell phones. We have only ever allowed 1 hour of screen time unless we are watching a movie together as a family. My youngest son has Autism and screen time can really over stimulate him and make the rest of the day very difficult to complete in a positive manner. We also implemented this limited screen time because it keeps us all accountable. It's easy for me to get sucked into computer time too. This allows us to have meaningful family time but still indulge in technology. As we have decided to jump into cell phones for our tween, we have decided that this limited time should still be observed. I have actually found this to be more difficult for me because I want to set a good example for my kids. There are no cell phones, TV, computers or anything allowed at the dinner table, family events (there are a few exceptions to this), or any other time we have designated as a no technology time. There is no real need for any child to have a super expensive or fancy phone. Children who are learning responsibilities of these items will probably run into a few bumps of either breaking or losing their phones. A $40 Cricket phone (which is what we chose for our son) is much easier to fix or replace than an $800 smart phone. The cheap plans also make this a great option. We are paying $25/month (we enrolled in Auto pay and received a $5/month discount) We are holding our son accountable for the majority of his cell phone bill. He will pay us $5/week from his weekly allowance and he is responsible for repairing and damage or replacing the phone if it is necessary. It wouldn't be very likely he could replace an iPHONE or Galaxy phone. and it defeats the purpose of him learning how to responsible if we did it for him. This may seem a little weird but it is best to lay down all the ground rules and hold your child to a high standard. If you set the bar high it will stay there, if you set it low and try to move it, BAD THINGS WILL HAPPEN! Changing standards, especially for children, can be extremely difficult for children. I am treading this line very carefully because I am setting the tone for my Autistic son. There are several options and some really cute creative Cell Phone Contracts you can find through Pinterest but if you are interested in the one I used click the link here. It makes it perfectly clear that having a cell phone is a privilege and not something he is entitled to own. Family Link is a Google application that allows you to manage your child's applications, watch their screen time, set a device bedtime and gives GPS location of the device. Family link allows you to create a family profile so you can watch multiple devices and children. The application is FREE and really gives you the control you need to make sure your child is being responsible and safe. There are a few other similar applications that offer services for a small fee too when they become necessary. Although I am a huge fan of Family Link, I am sad to say they only offer services until your child turns 13. "When your child turns 13 (or the minimum age required for the creation of a Google Account absent parental consent in your country), they are eligible to manage their account on their own. If your child chooses to manage their Google Account, you will no longer have access to, or be able to exercise control over, it with Family Link. Before your child becomes eligible to manage their own Google Account, we will notify you and your child." I am hoping that utilizing these standards will allow my children to learn the proper rules of phone etiquette and learn how to be responsible with technology. Even though this is a big step, I think it is what's best for our family right now. As my kids grow older, technology is becoming increasingly important for continued education and job security. It is better that we teach our children how to respect this technology than to allow them to wander the technology world alone. The Lenten Season is around the corner and this year with some interesting twists. To begin, the Lenten season's official start is Ash Wednesday and it coincides with another feast day that everyone enjoys to celebrate... Saint Valentine's Day. 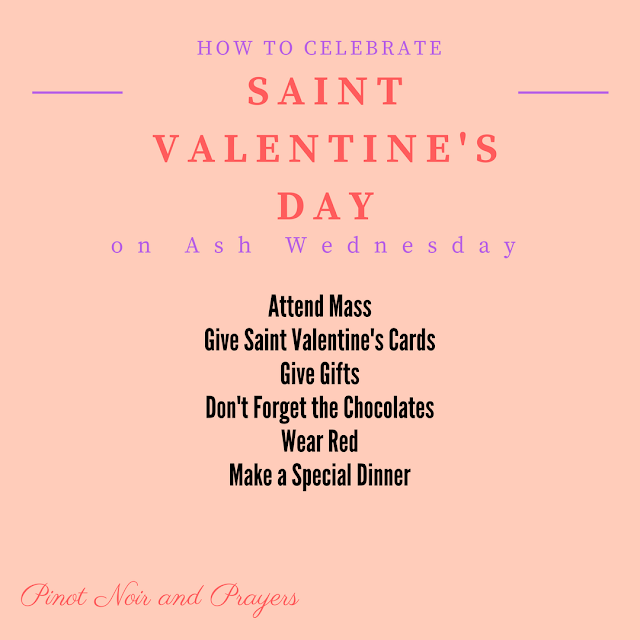 These two celebrations are an interesting combination because Ash Wednesday is a day of fasting, abstinence and penance while Valentine's Day has become a day to indulge and celebrate. Combining traditions from each day may seem impossible but it's not! Roses, chocolates and special trinkets have become the normal way to enjoy the feast day of Saint Valentine. Oddly enough, Saint Valentine was a priest that was sentenced to death because he married Christian couples and associating with the people that were being persecuted under Claudius so the association of couples, love and marriage are due to Saint Valentine's patronage as a Saint. The popularity of the color red on this day was because it represents martyrs. The entire holiday has lost it's real value and most don't know about the history behind February 14th. Taking a real look into the true meaning of Valentine's Day and incorporating it with the customs of Ash Wednesday will make it a more meaningful holiday. This suggestion isn't really a suggestion. Ash Wednesday is a Holy Day of Obligation and Saint Valentine was martyred in honor of our faith. Spending time with those you love with God is the best place to spend your Valentine's Day. Valentine Cards are a fun tradition but they don't embrace the Saint that is being honored on his feast day. Make sure to give these Saint Valentine cards to not only friends and family but those that are forgotten on days like this. Visit a Nursing home, the imprisoned or the sick. Lavish gifts are sometimes exchanged to impress our Valentines. Instead of giving jewelry or gadgets, why not give Lenten devotionals, monetary donations or the gift of your time to help those in need? Burying the Alleluia on Ash Wednesday is one of my family's favorite traditions. You could expand this tradition by wrapping up your Easter decorations and open it for Easter Sunday. Lent is a time of preparation for the Easter Season. Although you can't indulge in sweets on Ash Wednesday, begin your preparations for your Easter celebrations by saving those chocolates. Besides you can always capitalize on those Valentine candies going on sale the next day too! Red is the color of martyrs and love. Although the Lenten season color is purple, red is the color of the Triduum as well. Celebrate love, sacrifice and Lent by rocking your favorite red outfit to Mass and work. Ash Wednesday is a day of fasting and abstinence while it is popular to share a special meal with your love on the feast of Saint Valentine. During a fast you are allowed one regular meal with two smaller meals that do not equal a regular meal. Abstinence means no meat but you can enjoy seafood. Make your regular meal count. You may not be able to indulge in wine and cocktails but a delicious sparkling water will quench your thirst and adds that little something extra to your dinner just as well. The combination of Saint Valentine's Day and Ash Wednesday may make you feel like you have to chose one or the other to celebrate. I hope this has helped to illuminate the importance of combining these liturgical celebrations and reflecting on the real meaning behind the celebrations. I hope this is a blessed Lenten season and you enjoy your Ash Wednesday and Saint Valentine's Day this year. The Catholic faith is rich with prayers, devotions, traditions, sacramentals and many other elements that can be used to grow your relationship with God. The seven sacraments are pillars of the Catholic faith and mark extraordinary portions of our life. It is essential to treat these life-altering milestones as such, especially if we expect our children to understand the significance of each sacrament and it's meaning. 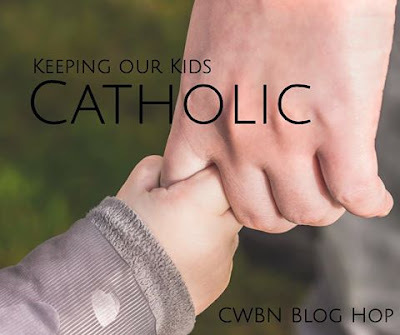 My goal as a parent is to make sure I have immersed my children in as much of their Catholic faith as possible, in hopes that they will love it as much as I do. "The Sacraments are the salvation of those who use them rightly, and the damnation of those who misuse them." How do we accomplish such a huge responsibility? First, we must make sure that we ourselves are well versed in the information that we are teaching to the younger generations. Do you know much about the sacraments? There are seven sacraments; Baptism, Penance, Eucharist, Confirmation, Anointing of the Sick, Marriage and Holy Orders. These seven sacraments are broken down into several different types; The Sacraments of Initiation, The Sacraments of Healing and the Sacraments of Service. The Sacraments of Initiation are Baptism, Eucharist and Confirmation. The Sacraments of Healing are Penance and Anointing of the Sick. The Sacraments of Service are Marriage and Holy Orders. Although I said this was some "basic" information. How basic does this sound to children? Probably not very relatable and not very intriguing to young minds... yet. Children retain more knowledge if they are able to play and create memories. Most of us were baptized as babies and the sacraments of Penance and Eucharist are given to us early in the elementary years. That is three out of six of the sacraments you are able to receive by the time you are 8/9 years old! I state three out of six sacraments because you cannot receive Holy Orders and be married as well. There are exceptions, of course, but that is a little much to explain to children in this age group. Illustrating the importance of these milestones can be difficult and hard to comprehend for young children if you are not able to portray these sacraments in an easy to comprehend state. 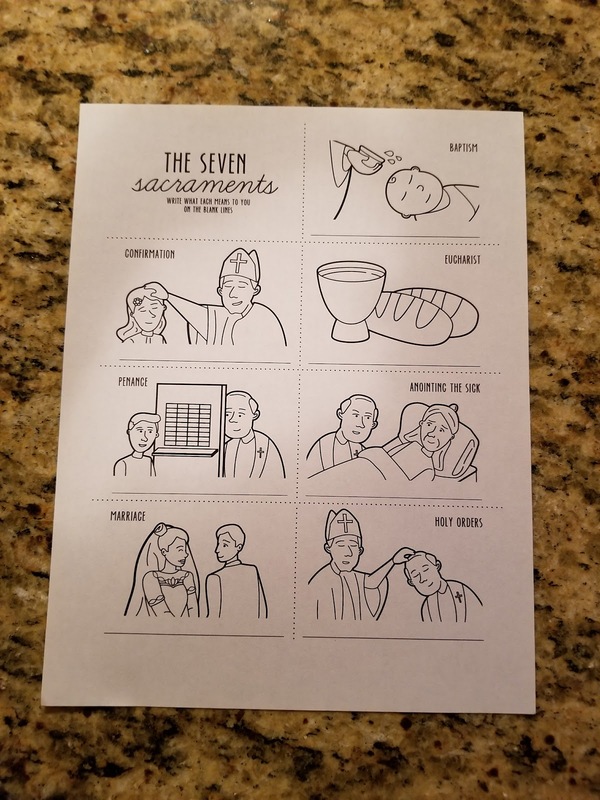 I was contacted by my friend, Sherry, from Personal Creations about sharing some wonderful and captivating Sacrament Coloring Pages that can assist the teaching of the seven sacraments to children and make them more fun to learn! "I hope these coloring pages give joy to families and teach children the milestones of Christian life. From baptism to marriage, these coloring pages are a delightful way to celebrate the many stages of a spiritual journey with God." 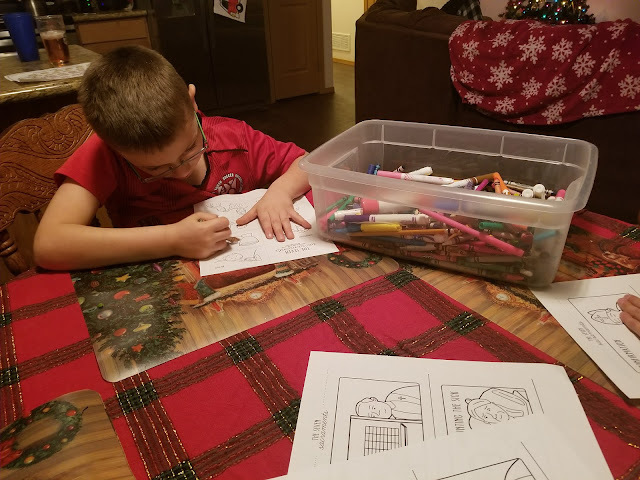 I was thrilled to be able to have a quick lesson with my boys on the Sacraments and share these coloring pages with them. I can honestly say that they both enjoyed it! I have a seven year old and a ten year old. 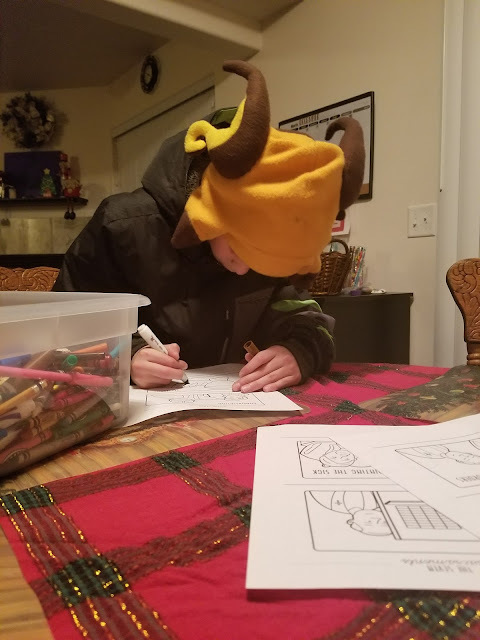 They had requested I join in the coloring fun since we do have nights where we pull out all the art supplies and have "craft nights". My youngest son loves games! He had asked me if we could use these pictures to make a game. I told him, "Of course we can!" We created a Matching Sacrament Game by printing two of the coloring pages that summarized all of the sacraments and cutting them out. 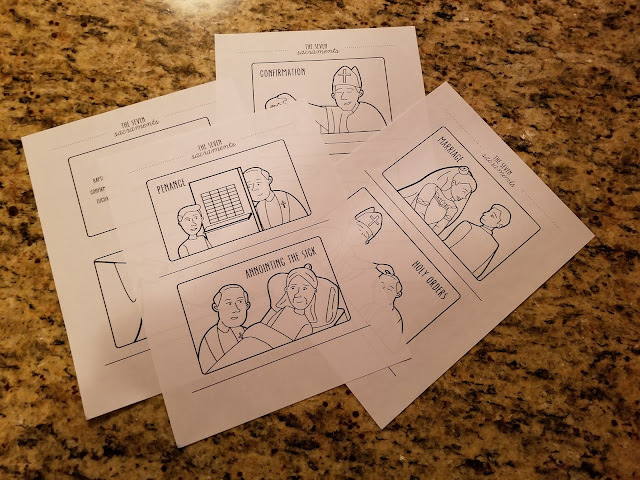 We now have a Liturgical Game that my son is very proud of because he did all the coloring and cutting and I have a game to play with him that will teach him about the sacraments. Definitely a Win, Win! My older son is more of a perfectionist and insisted that he make the pages look as life like as possible. He had to use the perfect combination of crayons, markers and colored pencils to get each page looking like a masterpiece. Having an activity that was intriguing to both my children was such a blessing. They are at those ages where it can be difficult to find something that reaches them at their own levels and yet keeps them on the same task. It turned into a nice family evening. Advent is just a few short days away. What a great way to anticipate the Christ child's birth by learning more about the seven sacraments with your families. If you are interested in these beautiful Sacrament Coloring pages, please check out the link to Personal Creations here. 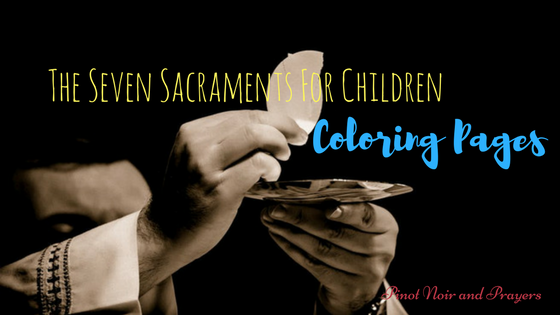 These wonderful coloring pages will help establish a great love for the sacraments in your children and help explain some of the more difficult aspects of the sacraments in a child's way. In this day and age of technology and instant access, there is much to compete with in our children's lives. It can be more than difficult to connect and create strong enough bonds to our faith and family without added distractions. I truly believe that knowledge is power and understanding your obstacles is the best way to create a plan to succeed in any endeavor. The endeavor that is most important to me right now is helping to cultivate a love for God, family and the Catholic Church in my children. This has been a topic of interest for me for quite awhile actually. I am a cradle Catholic. Born and raised to go to Confession on Saturday afternoon, attend Mass on Sunday mornings and participate in Catechism classes and Youth groups as needed. That was the recipe to create a love for my Catholic faith. I am not knocking this recipe because obviously something went right. I am now thirty years old, still Catholic and attempting to nourish a faith in my own children and family. I am here to share what I have learned through many trials, more errors and things that I still do today. This is probably one of the most important things you can do to establish a real relationship with your children and their faith. A Parish is not just the church you attend on Sundays or other Holy days of Obligation. A Parish is a second family. They will be present for some of the biggest milestones and memories of your family! Baptisms, First Communion, First Reconciliation, Confirmation, Marriage and even funerals. They will be there when you need help, whether prayers or other types of assistance. Create relationships with the people sitting with you in the pews and go say hello to your priest. 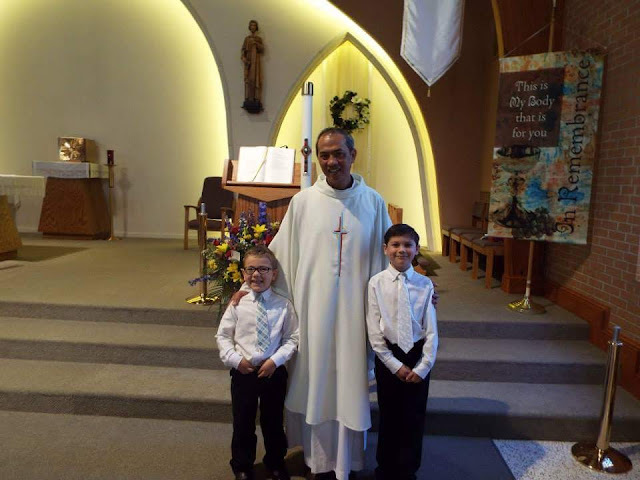 My children have always been enamored by the priests of our parish. They love to give hugs, high-fives and always smile when they see people from our parish around town. My oldest son's teacher is even in attendance at our parish! Another important aspect of being in a Parish is participation. Sign up to attend bible studies and other Parish hosted events as a family. Allow your children to make friends with kids at Religious Education and youth groups. Embrace what your Parish can offer your family but remember that it is also important to volunteer and give back as well. As a child, I remember the beautiful gold display that had the Ten Commandments engraved above my dining room table. The nostalgia of childhood rings so strong when you become an adult. Bring your faith into your home and allow it to have a place in your everyday life, not just Sunday worship. The Liturgical season is full of distinct colors, sounds and beautiful scenes that can be displayed in your home. Add Holy Water Fonts, Crucifixes and display portraits of Our Lady and the Holy Family. I have incorporated a Home Altar that we update with the Liturgical colors, special Saints of the season, candles and rosaries. 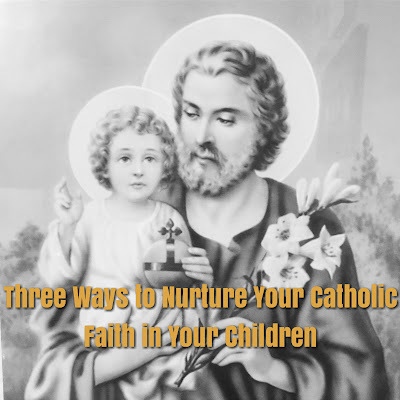 The more these special reminders of our Catholic faith become apart of your families everyday life, the harder it will be for your children to go out into the world without them. These additions to your home can also be passed along to your family as they grow. There was a gorgeous statue of Mother Mary that was my Grandmother Mary's that my dad gave to me when I had children. It was something that I was able to bring with me from my childhood and I hope to pass along to my children one day as well. This suggestion is probably the most important. Creating memories that are warm, happy and include our faith will be what our children think about in times of turmoil. The Liturgical year makes this super easy! Celebrate anniversaries of your children's Sacraments and Saint's feast days. Make new traditions with baking special dinners or desserts on certain days. There are several Liturgical seasons to embrace and each month is dedicated to a special devotion too. I include those days on our family calendar so everyone can see it. My children have started to remind me about certain activities or movies we are suppose to watch on certain feast days now! We incorporate special blessings and prayers. Create candles, crafts and so much more. Make the Catholic faith come to life. If you need some ideas for ways to incorporate faith into your everyday activities, check out some of my ideas under the Liturgical Celebrations tab. Let your creativity free! You will be creating memories for yourself and your children! The positive association between happiness, love and faith will be something that your family can tangibly look back on as they grow older and venture into the world. My favorite thing about my faith is that we Catholics know how to celebrate! We do have many traditional ways you can incorporate but do not let that interfere with trying out some new family traditions that will be passed on to your children's children. Interested in more ideas to keep your children Catholic? Checkout this month's CWBN Blog Hop with several articles written on this very intriguing and important topic. Several of my friend's from Everyday Ediths are contributing to this Blog Hop as well. A pilgrimage is a journey to a place associated with someone or something well known respected. 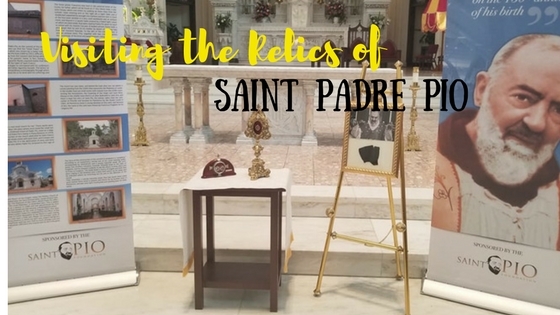 So I guess you could say I was blessed to have the opportunity to go on a pilgrimage to the Basilica of the Immaculate Conception in Denver to see the Relics of Saint Padre Pio this past May. I was more excited than words can express to go out to this Basilica because last year I created the Ultimate Guide to Holy Places in Colorado and this particular location made the list! It has been on my Bucket list ever since! Let me tell you that I was not disappointed! The Basilica was absolutely gorgeous and being blessed to be in the presence of Saint Padre Pio's relics was amazing. The glove, blood and hair of Padre Pio are encased to protect them while on display to the public. First class relics are the body or remnants of the body of a saint, such as blood, bone or flesh. 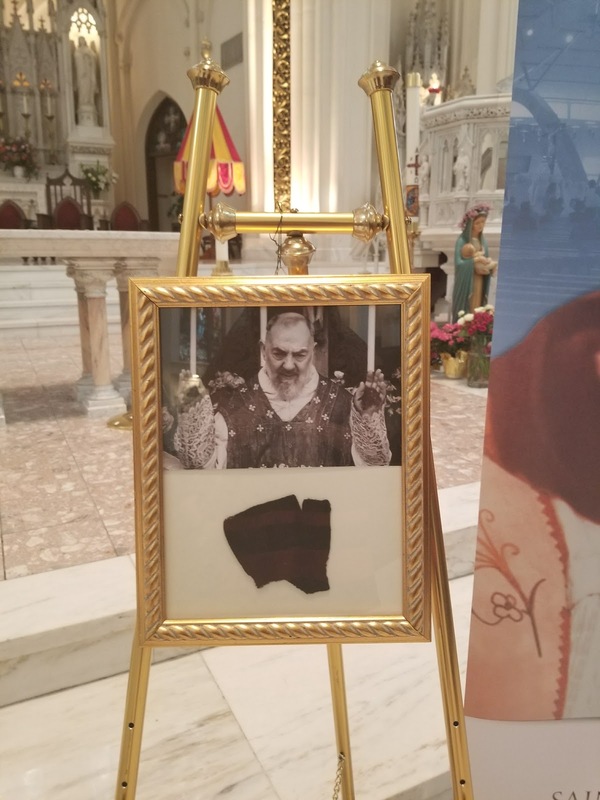 Second class relics are something that a saint personally owned, like Padre Pio's glove. Third class relics are those items that a saint touched or that have been touched to a first, second, or another third class relic of a saint. Something VERY important to remember in regard to third class relics is that the touch does not have to be a direct touch to the relic itself. Merely touching the container that holds the relic is sufficient to bring about that transformation and effect a new relic. If you don't know much about Padre Pio, I highly suggest doing some reading about him. He is an inspiration to many. Padre Pio was born in Italy in 1887. He was one of eight children and had visions of angels and demons as early as five years old! He grew up and became a priest that was sought out due to his healing prayers and loving heart. There are many stories that are shared about this wonderful man regarding the devil, bi-location, stigmata, levitation and much more. 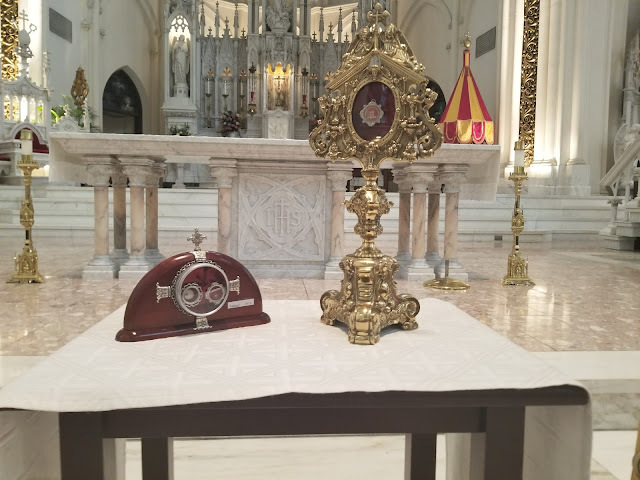 During my pilgrimage, I attended Mass and was truly touched by the reverence that was shown to both the Eucharist and the relics. During Communion I witnessed a man get on his knees and bow before the Eucharist. He then received the Eucharist while still on his knees. I think this image will be one that I will never forget. The love and respect shown by this man to Our Lord touched me in such a way that I nearly cried. It lit a fire in me to do a better job of showing reverence while I am in Mass and in the presence of the Eucharist. People also waited in a line that stretched around the Basilica to stand before the Relics of Saint Padre Pio. The awe and wonder that filled the air was magical. 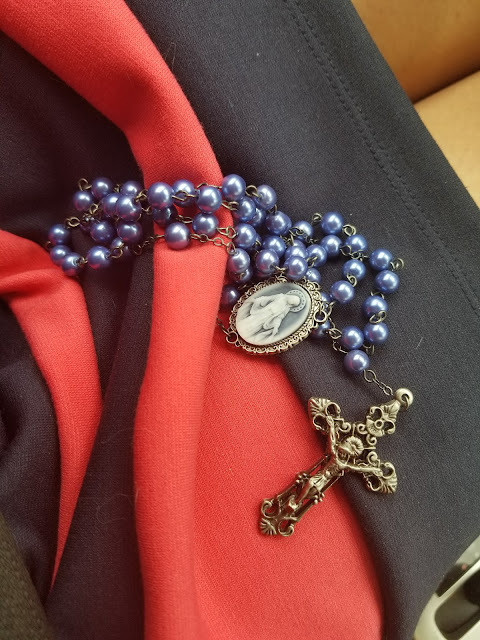 I won this beautiful rosary during a giveaway hosted by my friend, Mrs. Andy, who writes over at Anchored by Faith and with me at Everyday Ediths. I brought this rosary with me and pressed it against the relics. Although there was glass between the relics and this rosary I know that there was a special blessing that was transferred and I will forever have this as a way to remember my pilgrimage and the special experience of being in the presence of Saint Padre Pio's relics. I created a third class relic. There were many visitors that did this same thing with crucifixes, rosaries and other religious emblems. The Relics were being moved across the United States over the next few months. Have you had the pleasure of checking out these relics? Or the relics of another saint? If so, I would love to hear all about it! Interested in more information about Padre Pio? Check out Saint Pio of Pietrelcina. 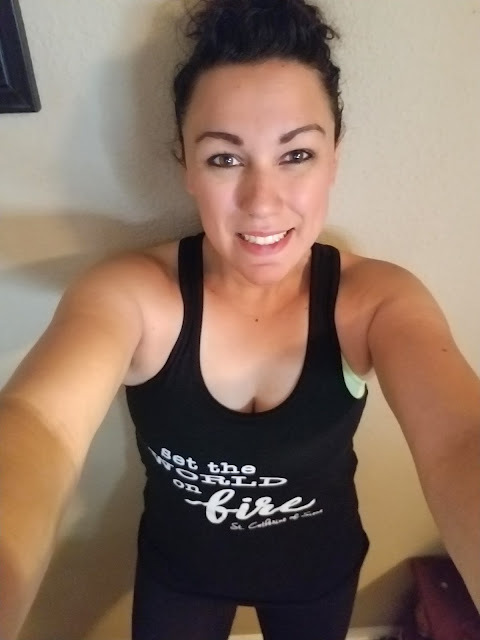 I received a workout tank top from Pio Prints in exchange for an honest review of their product. The opinions shared in this post are my own. As a mommy, I wear a lot of hats. Chef, accountant, secretary, chauffeur and many more. Wearing all these hats can be difficult but is necessary. I am a mommy and taking care of my family is the biggest blessing the Lord has given me. It is easy to get lost in the responsibilities that come with raising a family. Since we are responsible for so much, it is important that we care for ourselves: mind, body and soul. How can we help raise the future if we are not mindful of the present? Working out is a great way to treat yourself right. It keeps your body working properly, helps eliminate stress and you can experience some of those amazing "feel good" endorphins that are released when you work out. I think the BEST part of working out is the clothing! I love wearing clothes that are comfortable and allow me to move. There are many jokes about people who rock their workout clothes all day long but if you have found something that is comfortable and doesn't get in your way while you are setting the world on fire, I say wear it for as long as you like. Pio Prints clothing materials are extremely soft and do not "cling" to you while you are moving. The material allows air to circulate and fits nicely. I love that I can wear this to run, lift weights or even to my son's football or soccer games so I can keep up with the team on the field and take pictures. It is versatile and high quality. The "Set the World on Fire" tank has already become my most favorite workout shirt. My husband has been warned because I will definitely be placing an order for some more of these tanks soon! Inspiration comes in many different forms and these shirts are not only motivational to those who are working out but they also help to spread our beautiful Catholic faith. These could make the perfect gift to share with a First Communicant or someone newly Confirmed. How about just getting one for yourself so you can rock one of your favorite saint's quotes? 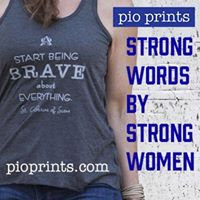 Pio Prints offers different styles, sizes and a large assortment of quotes to chose. Whatever your reason, you should try this wonderful clothing out at least once. If you decide to try out this amazing clothing line, I would love to hear about how much you love it too! 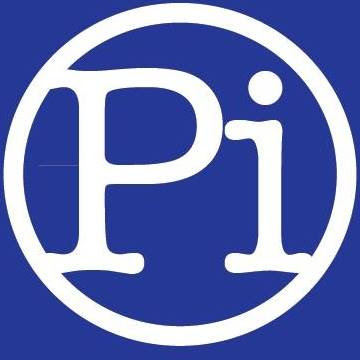 Share your #PioPrintSelfie with me. 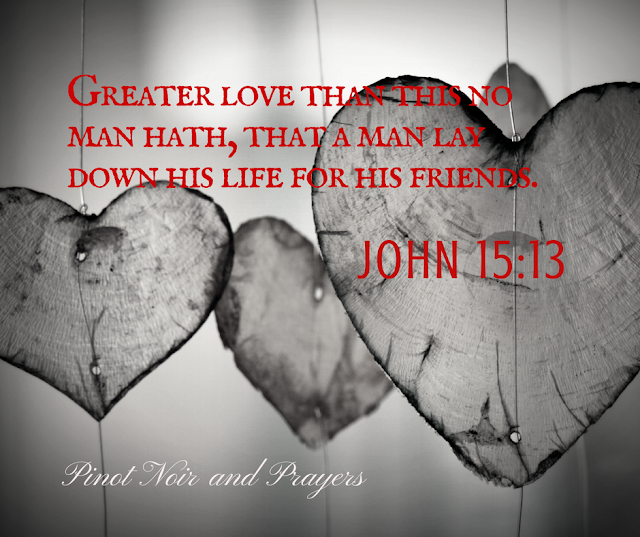 Tag @PinotNoirPrayers and @PioPrints on Instagram! It's only fair that I share my #PioPrintSelfie with you too...so here's mine! The Easter season is underway and there are so many fun and exciting things to do with your families to bring it to life! How are you celebrating the 50 days leading up to Pentacost? Here is my #WorthRevisit with Reconciled to You and Theology is a Verb. Decorating my home with the colors and smells of the season make me so happy! Easter is definitely one of my favorites because it symbolizes a renewal and cleanness that extends throughout the house. I also love that we have 40 days of fasting, praying and alms giving that ends with 50 days of Easter celebrations! To aid in our celebrating I created an Easter calendar that has something fun for the family to do everyday during the Easter Season. 10. Feast of Vincent Ferrer and National Deep Dish Pizza Day: St. Vincent is the patron saint of brick makers and construction workers so let's build something with Legos and enjoy some pizza! 15. National Siblings Day: Do something EXTRA nice for your siblings! 17. Scrabble Day: Tomorrow is actually National Scrabble Day but we have something extra special planned for tomorrow, so lets play it today. 27. Earth Day: Let's plant some flowers on our patio and watch the Lorax! 29. Let's go to the zoo today. Don't forget your zoo passports! 37. Send letters/ cards to friends and family! Remember Mother's Day is coming too! 42. Kentucky Derby: Ladies wear your big hats and boys your bows! Time for a Derby Party! Saint Benedict: A Patron Saint of Siblings? Disclosure: Pinot Noir and Prayers is an affiliate for providers of goods and services mentioned on this website. I may be compensated with a commission when you purchase after clicking on a link. I may also have received the product for free. All written material and original photographs copyrighted (c) 2016. All rights reserved. . Simple theme. Powered by Blogger.